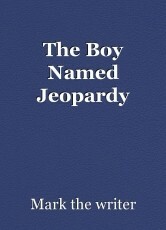 In this Short Story, there is a boy named jeopardy, who goes on an adventure through the amazon to find a forgotten treasure. © Copyright 2019 Mark the writer. All rights reserved.